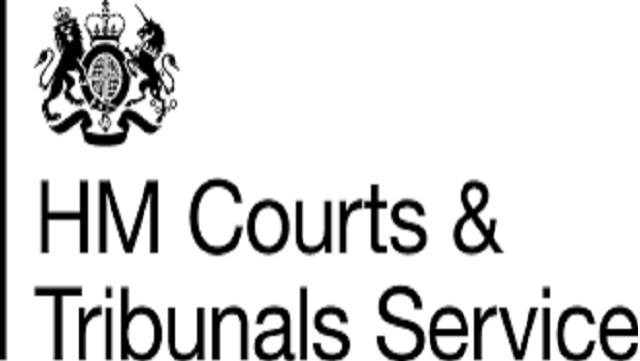 Her Majesty’s Courts and Tribunals Service (HMCTS) sits at the heart of the justice system and affects the lives of millions of people each year. We are responsible for administering the criminal, civil and family courts and tribunals in England and Wales and non-devolved tribunals in Scotland and Northern Ireland. We are committed to supporting a fair, efficient and effective justice system delivered by an independent judiciary. We are an executive agency of the Ministry of Justice, with around 16,000 staff, operating from around 350 locations and an annual budget of c£1.6bn. We are currently undergoing a £1 billion transformation programme to create a world class, cutting edge courts and tribunals system that meets the changing demands of the population and responds to the technological challenges of the 21st century. Our programme of reform – the ambition of which is unmatched globally – will create new ways of working, but also provide entirely new ways to access justice, which are both efficient and work better for service users. Pivotal to our success as an organisation is the recruitment of a new Director, Human Resources. Reporting to our Chief Executive, and a core member of our executive team, you will shape and drive organisational change, identifying current and future capability requirements and supporting HMCTS in attracting, developing and retaining talented people. You will ensure that we have effective and resilient day-to-day HR practices, including high impact performance management, excellent recruitment and retention practices and a high level of commitment to staff engagement. As a major catalyst in our change programme, you will quickly build trust and credibility at all levels in the organisation, whilst having the resilience and gravitas to drive this agenda forward. We seek an inspirational, dynamic and forward-thinking senior HR leader. You will bring a strong track record of leading a large HR function for an organisation of scale and complexity, and a proven ability to contribute to the vision, strategy and business performance of an organisation. You will have demonstrable experience of successfully leading the delivery of significant people-focussed change programmes, and an ability to balance priorities between a transformation agenda and delivery of core HR operations. You will possess excellent interpersonal and communication skills and a sophisticated approach to senior stakeholder management and influencing. This is a demanding but hugely rewarding role that presents a unique opportunity to play a key role in supporting the most significant set of reforms to our justice system since the Victorian era. To learn more please see the full role description and application pack at www.veredus.co.uk quoting reference 930826. Closing date is 9:00 pm on Monday, 2nd July 2018.